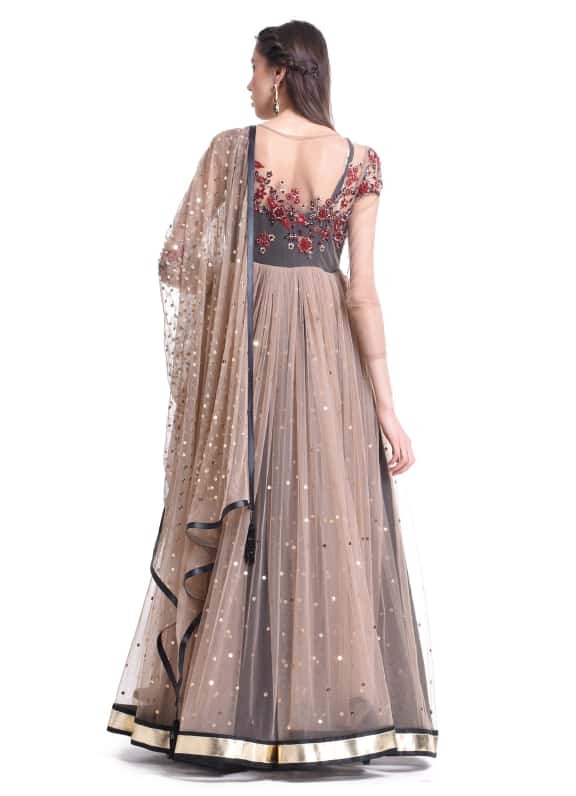 This anarkali gown features a black silk slip and a beige net overlay with gathered pleating along the waist. The bodice includes threadwork and piping that extends across the back. 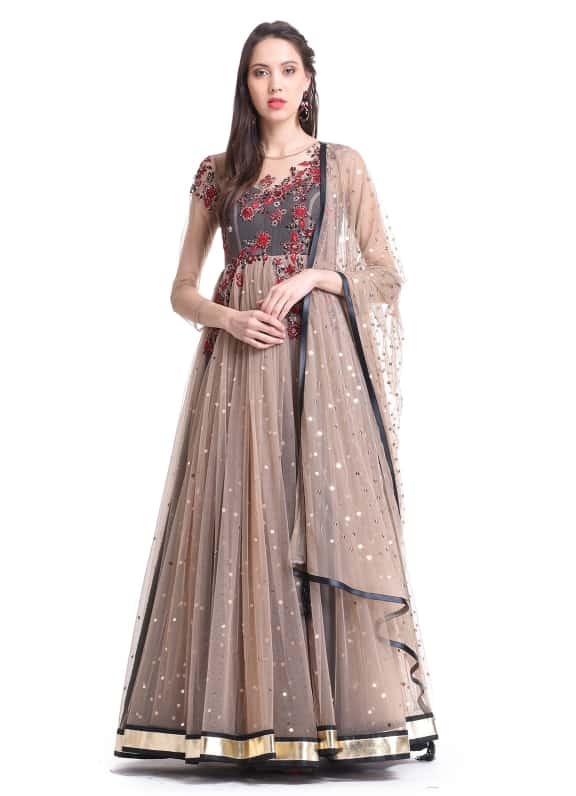 There is matching sequin work on the skirt and dupatta. 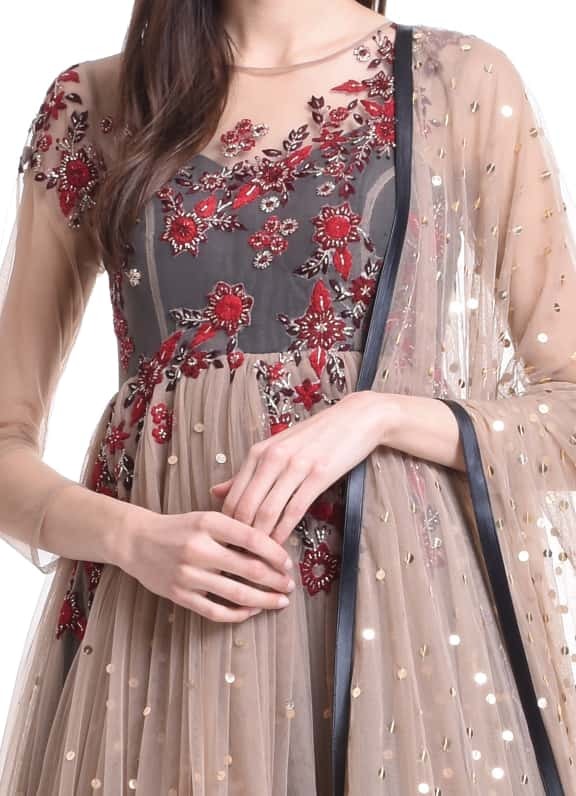 Wear this sparkly piece to your best friend's sangeet or a cocktail with dark crystal-drop earrings by Maithali Kabre.